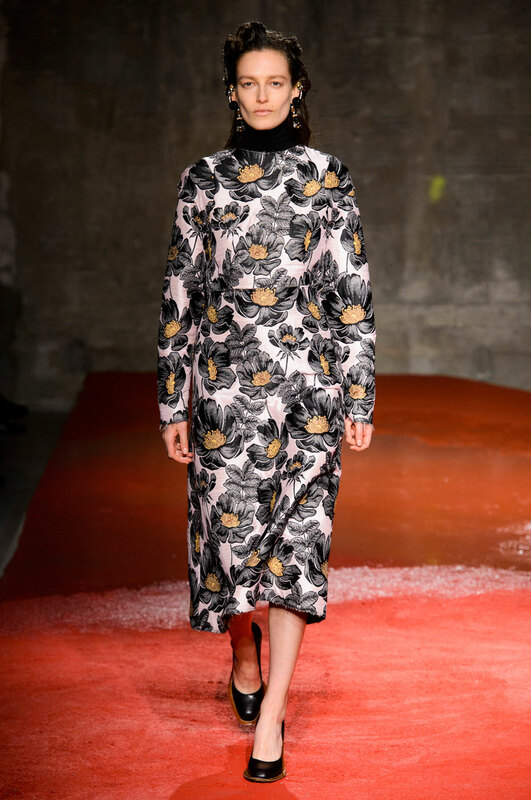 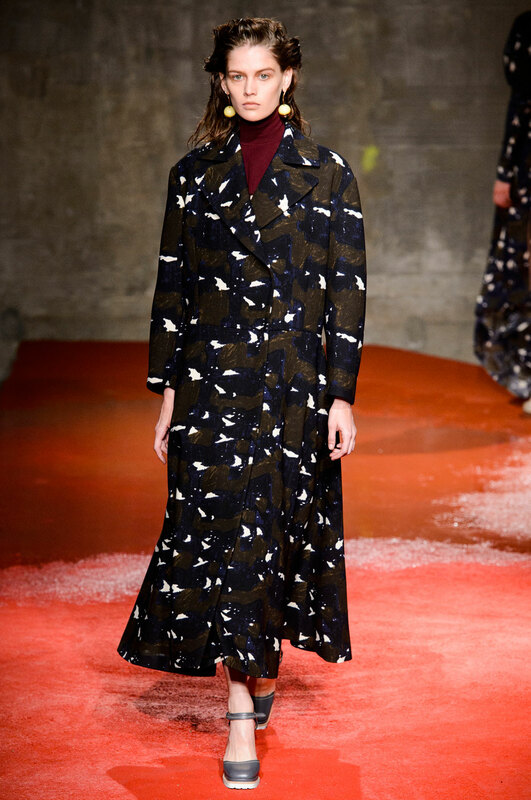 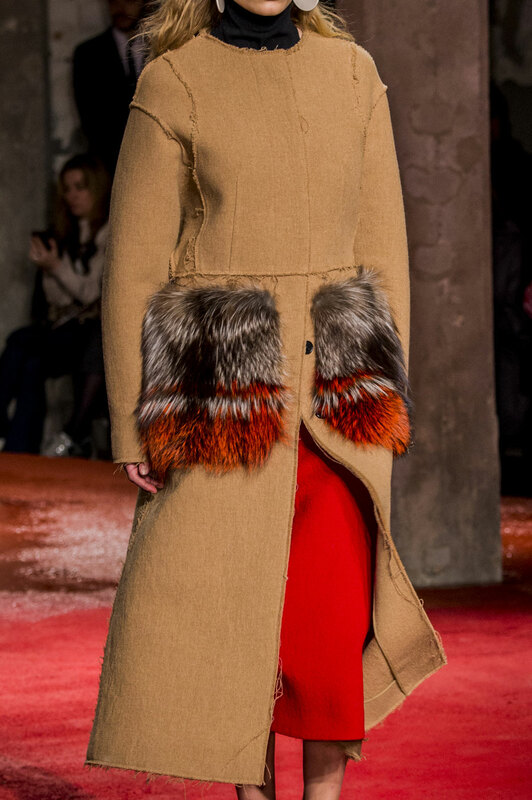 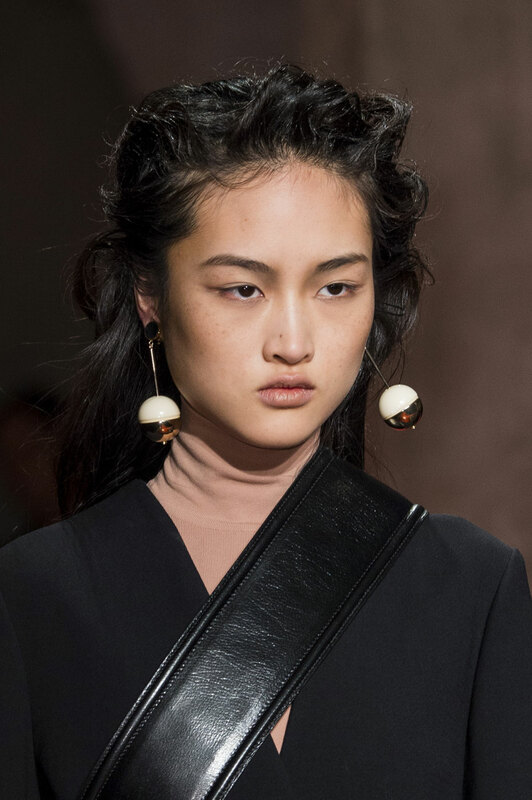 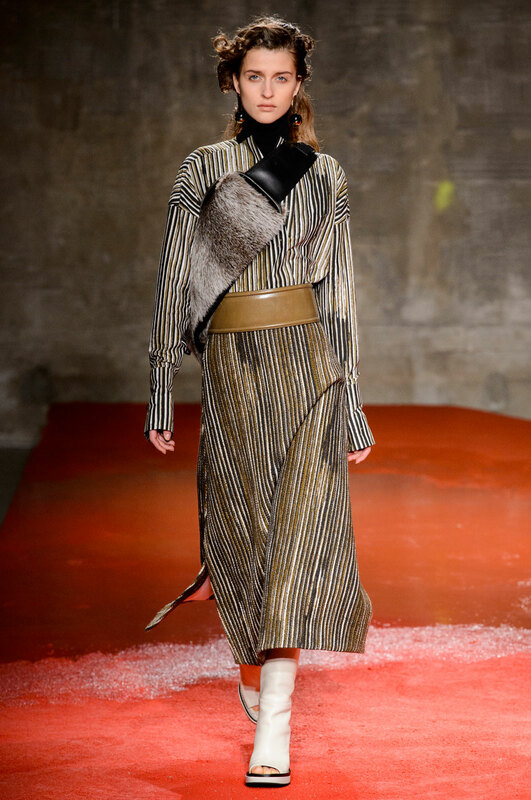 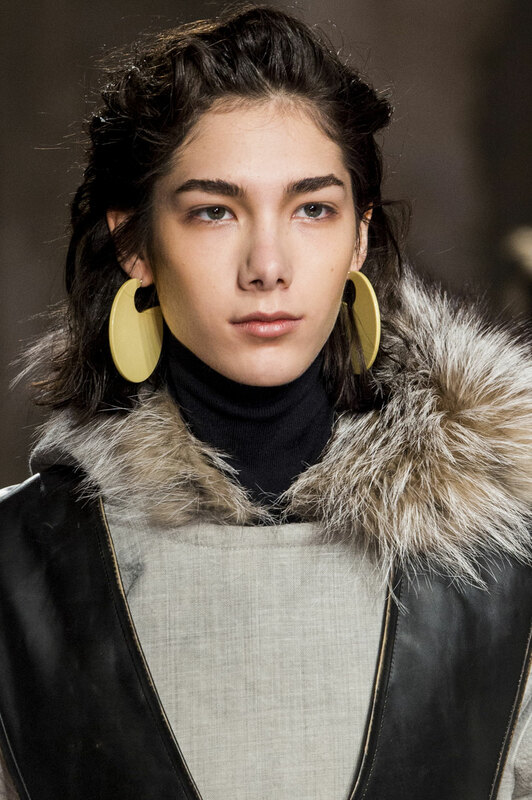 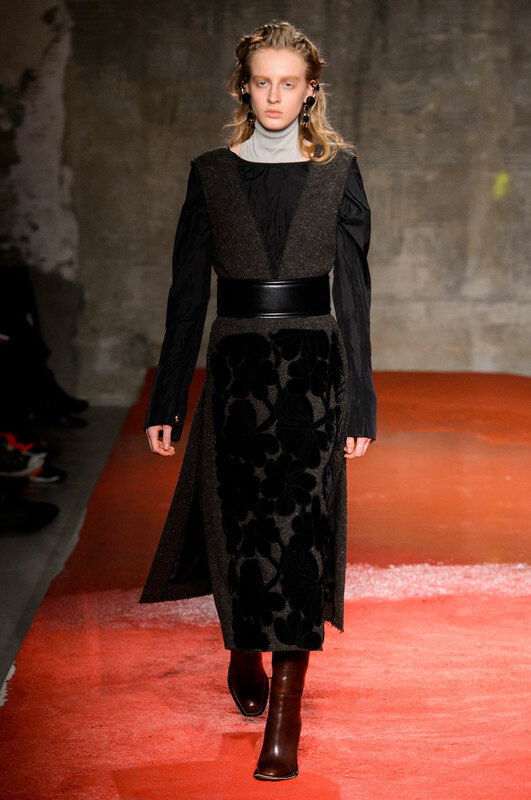 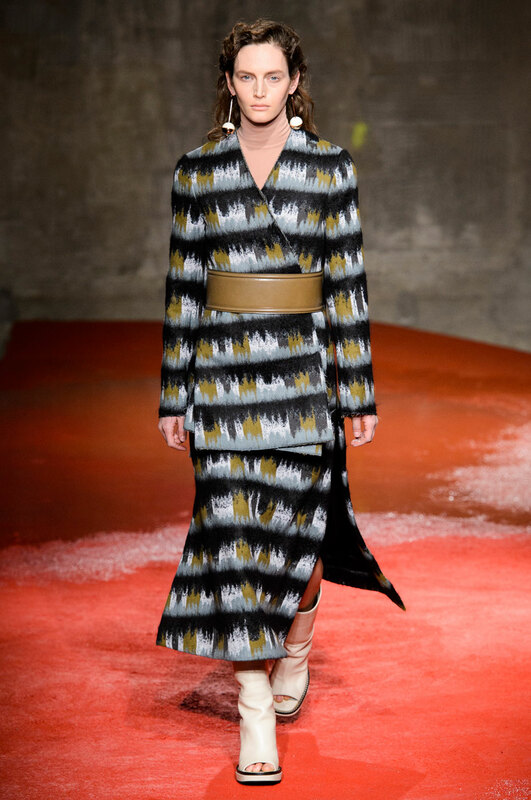 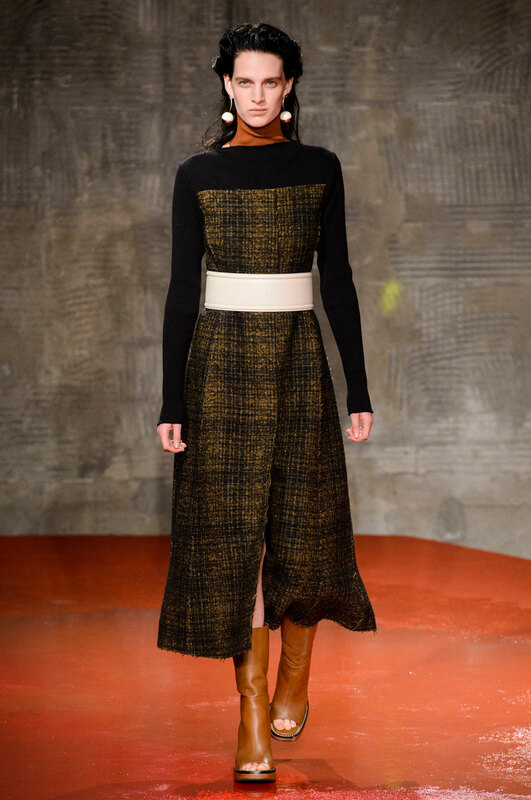 Marni Women Autumn-Winter 2015 – Fur is definitely not an accessory this season at Marni, who brought us an utterly dreamy collection for the fall. 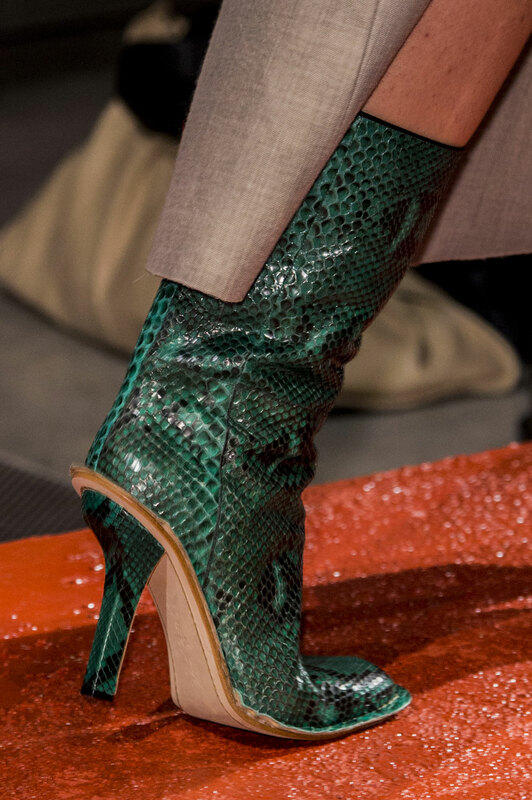 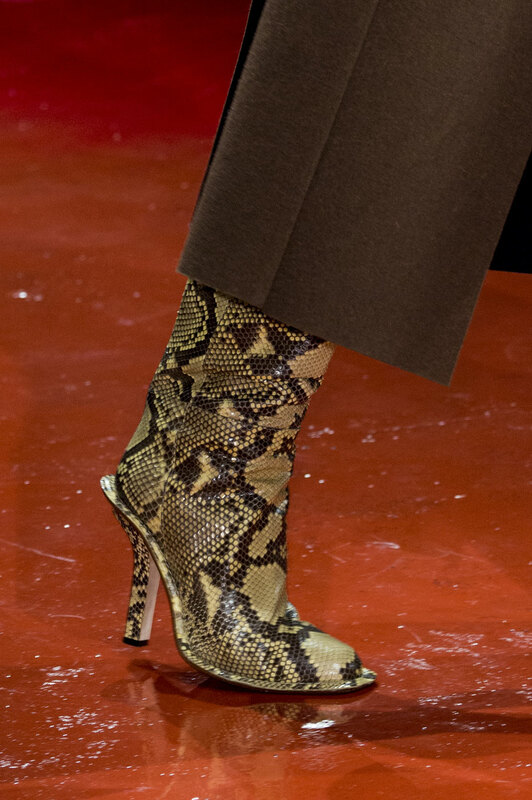 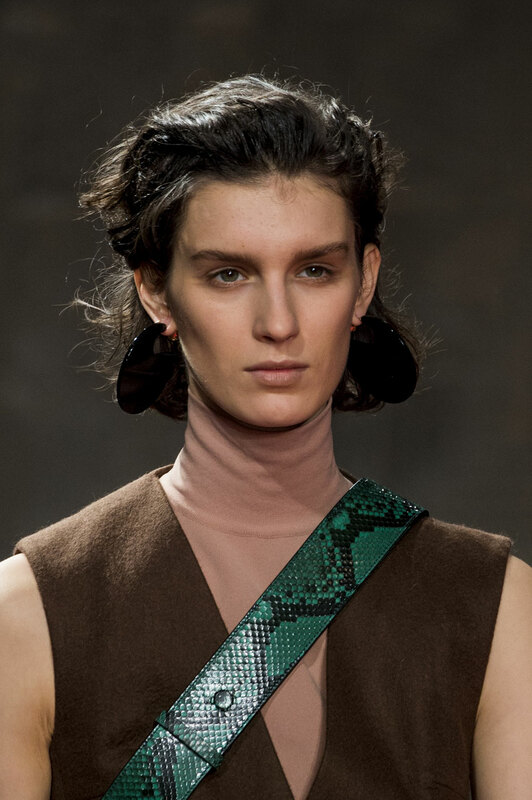 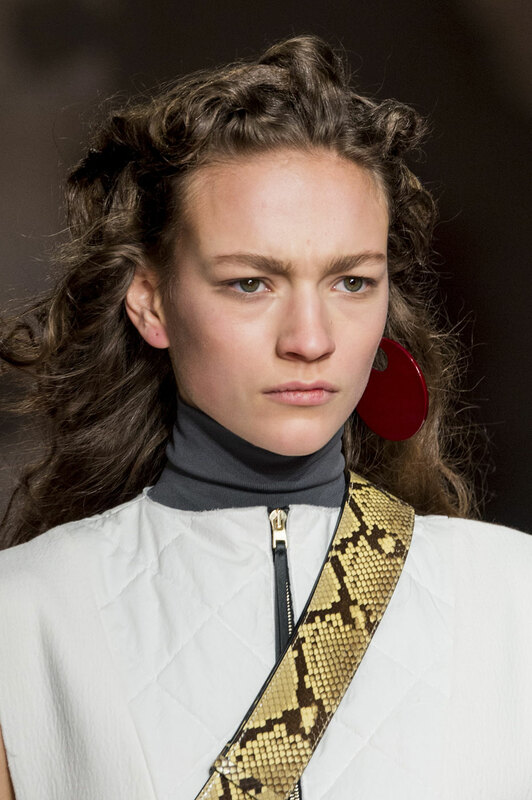 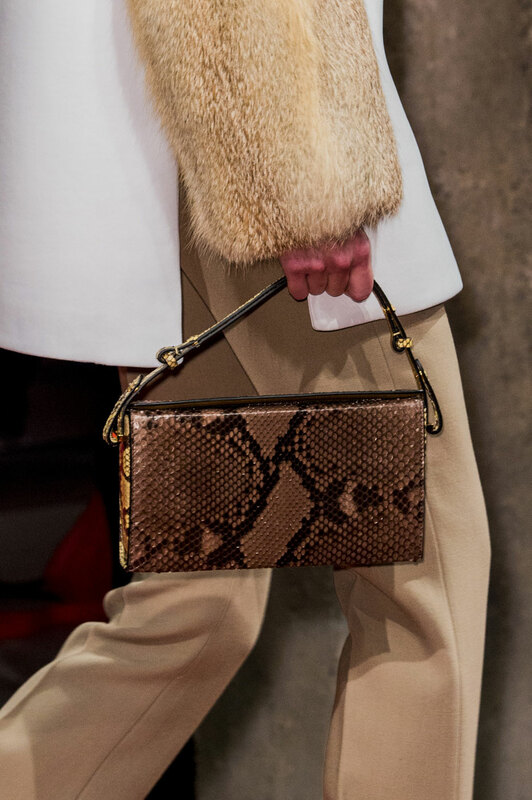 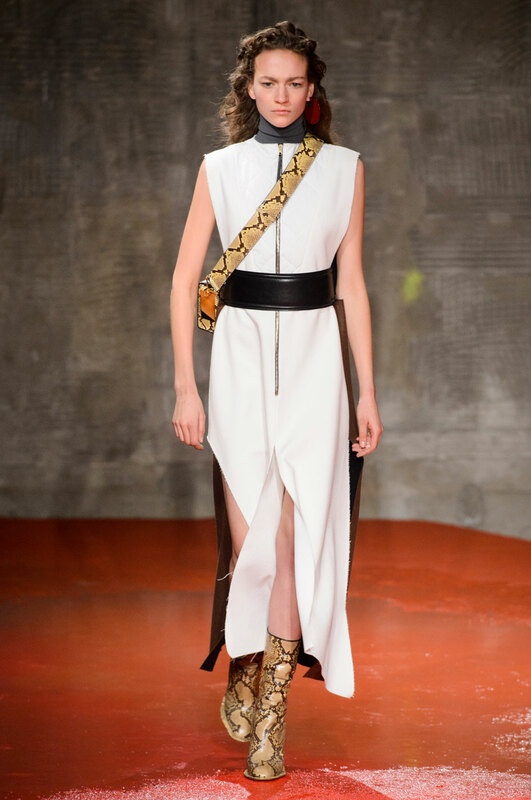 Gorgeous neutral tones were customised with snakeskin detailing and intricate winter florals, whilst cuts and fur had a more apparent, chic update. 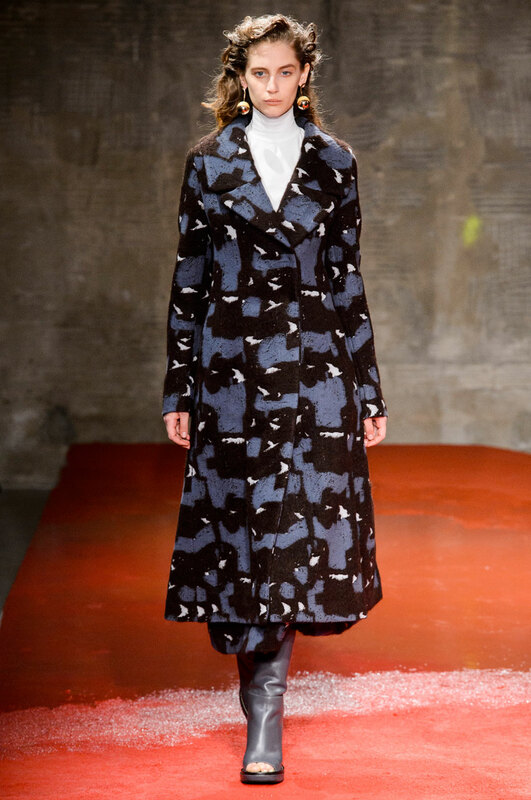 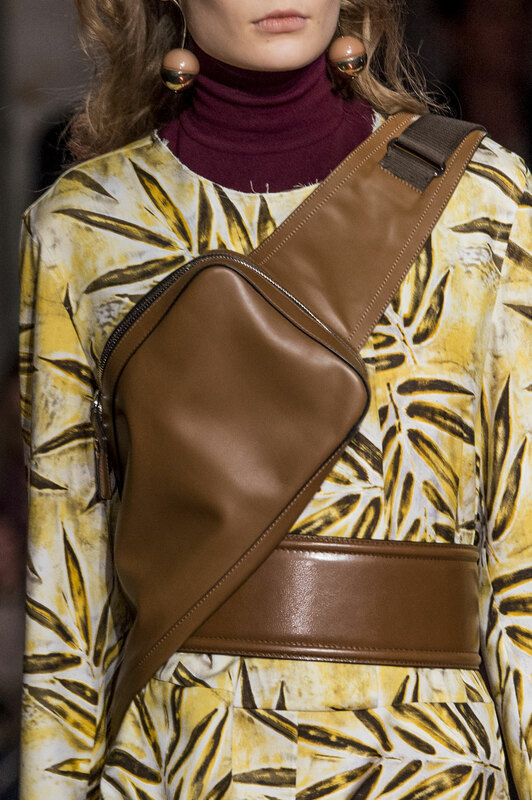 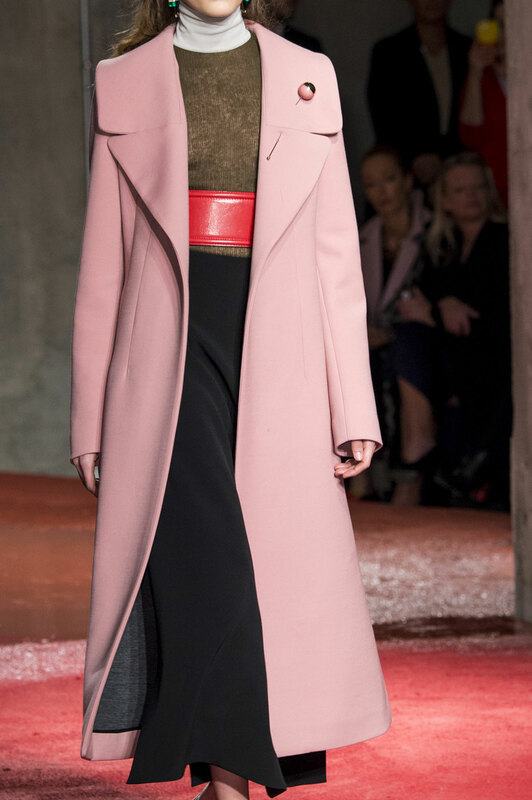 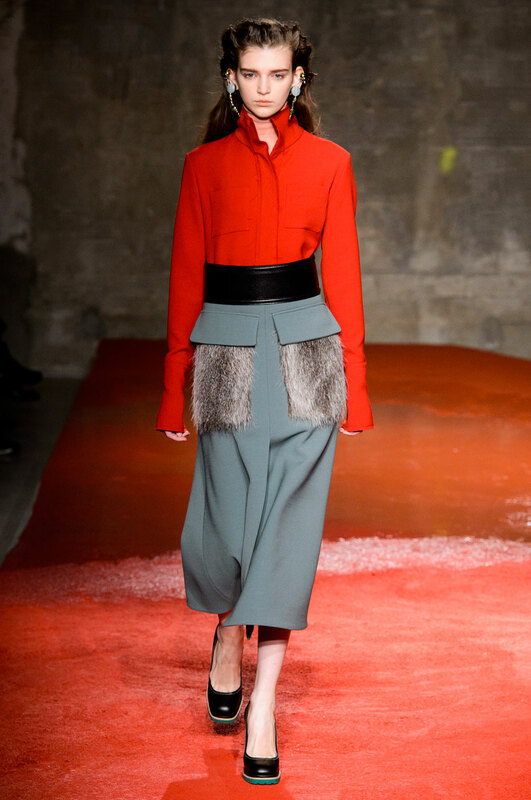 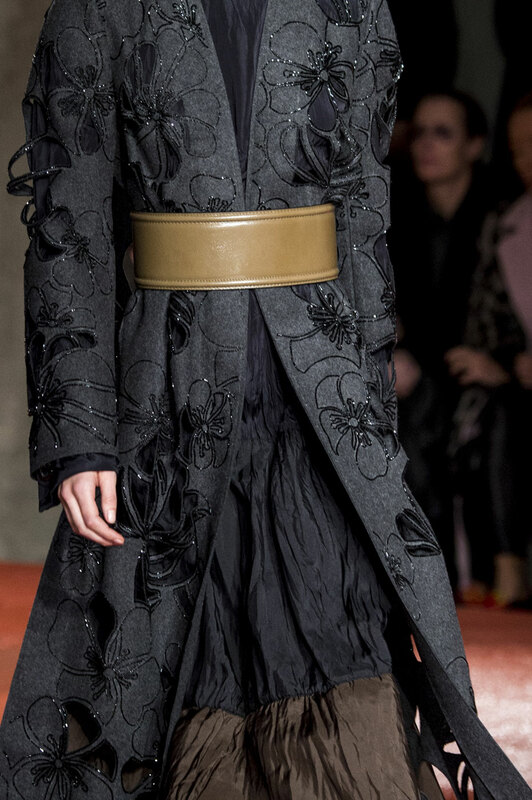 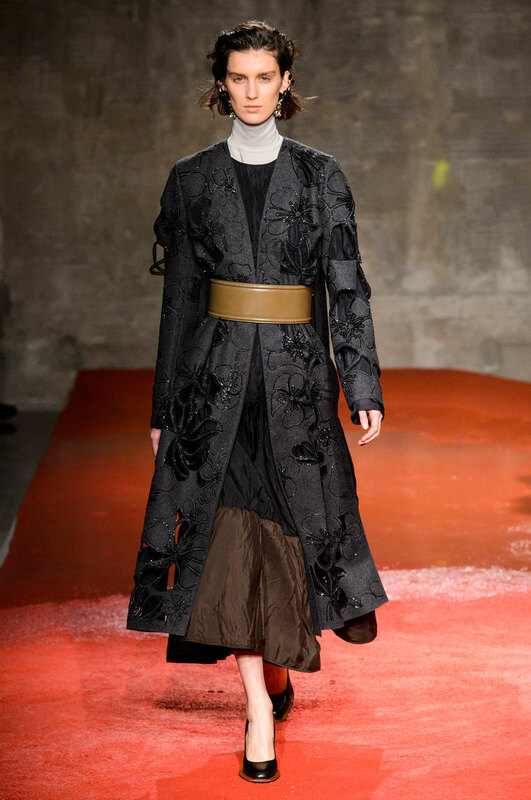 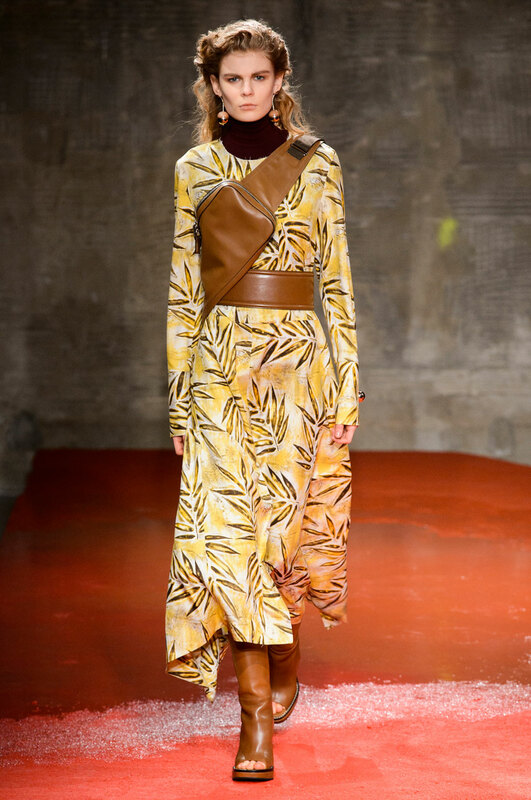 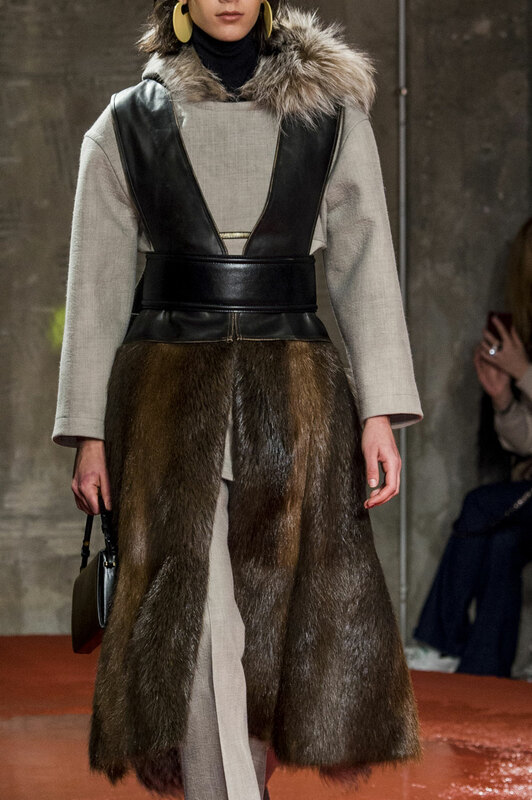 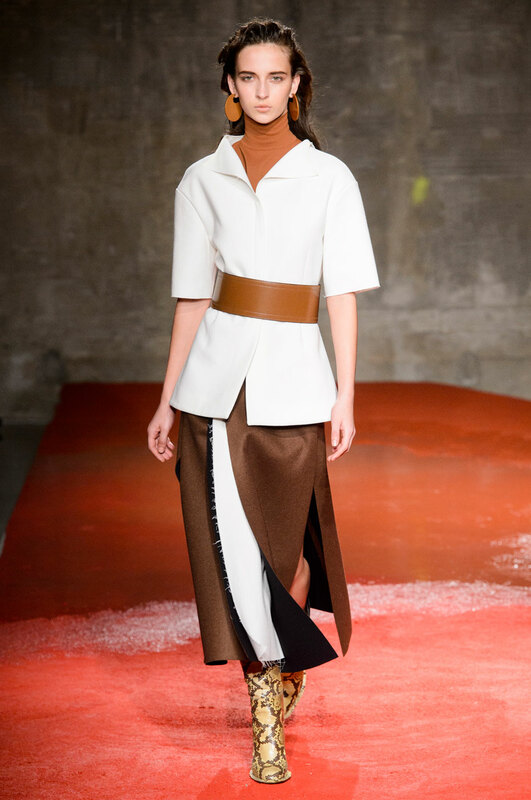 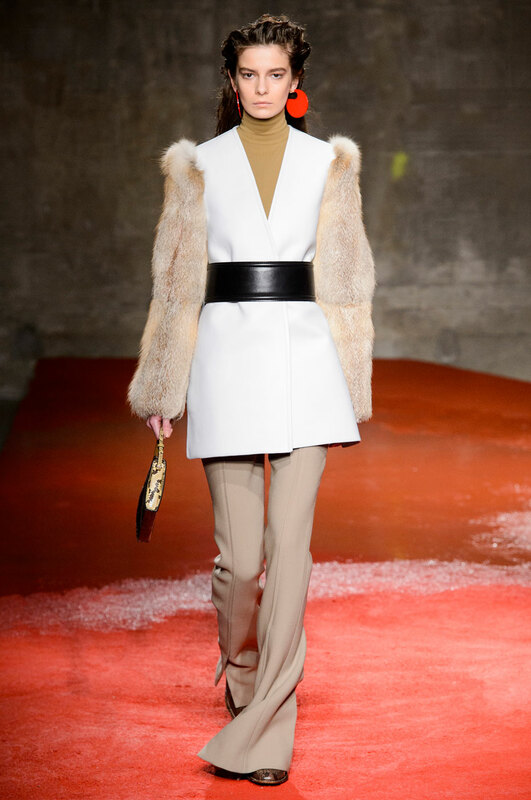 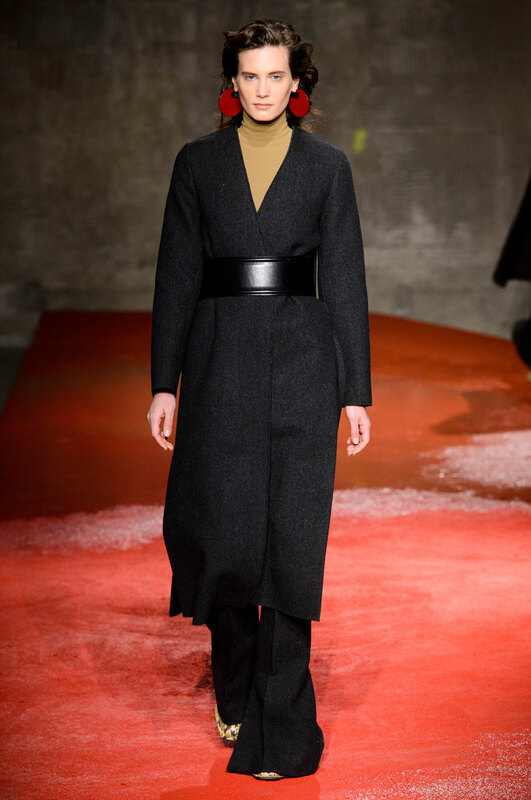 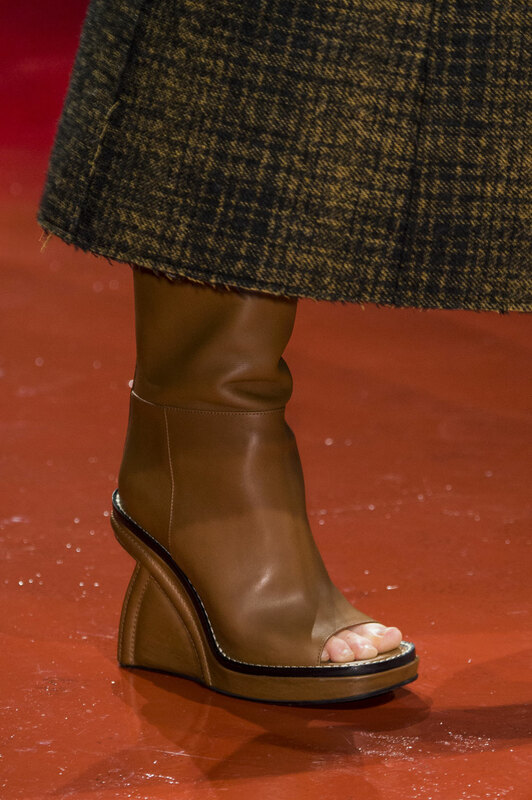 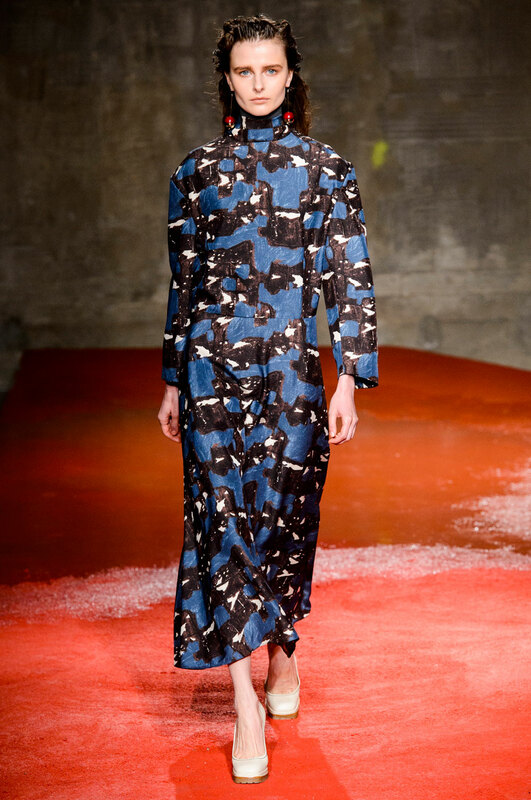 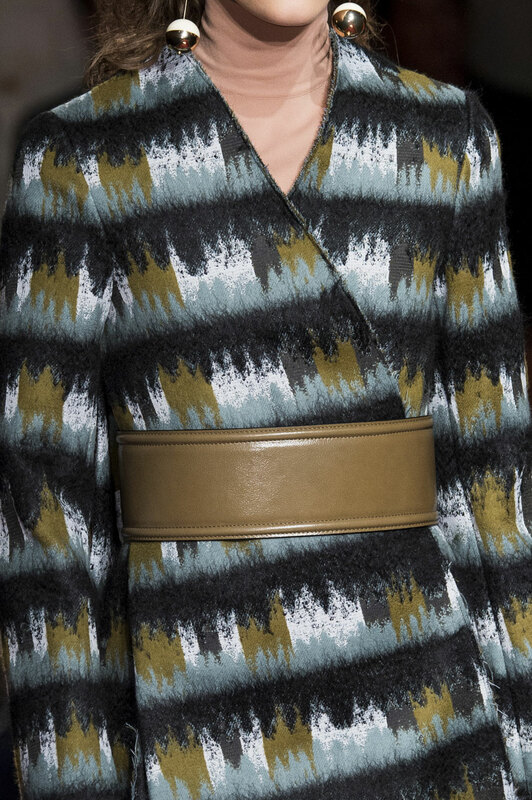 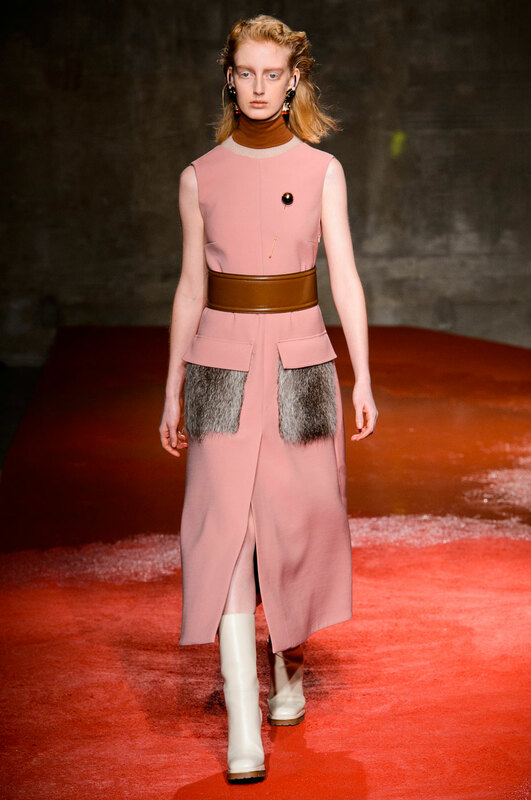 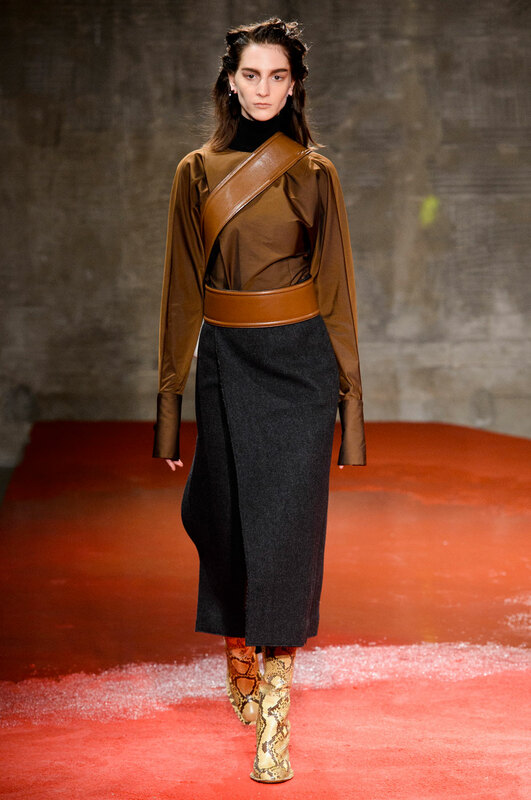 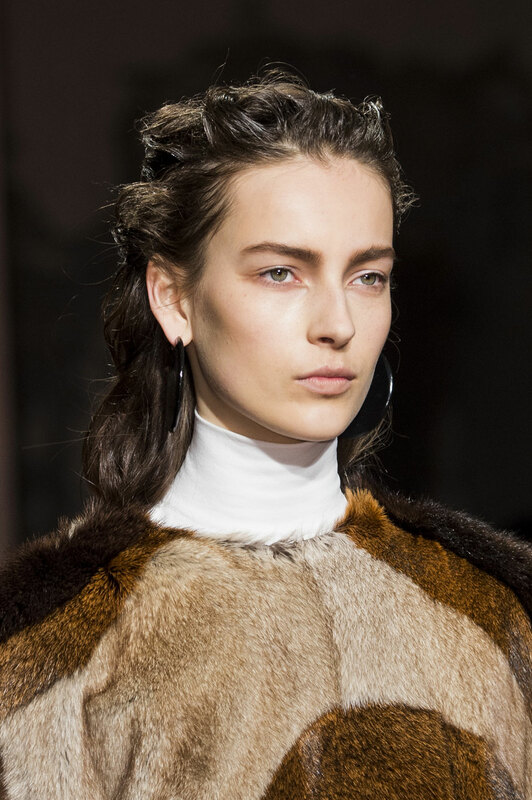 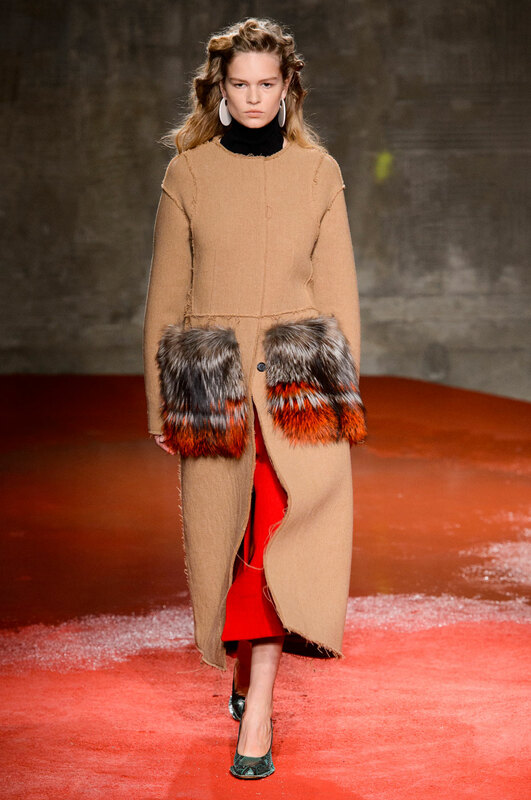 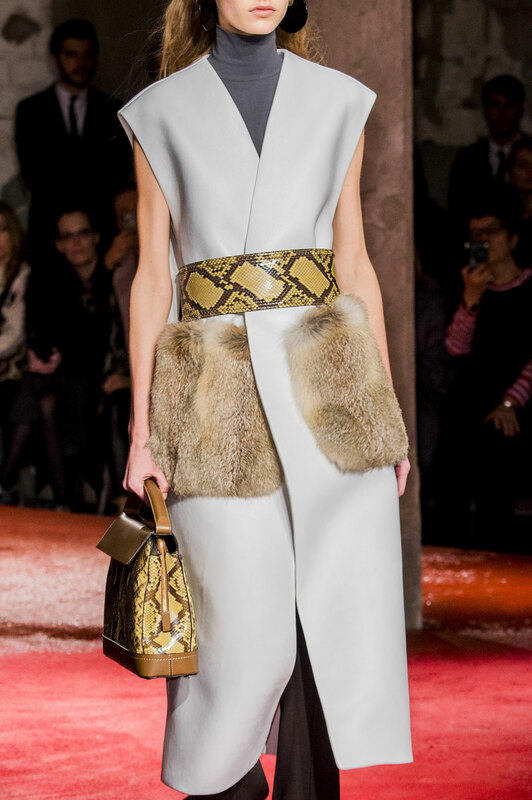 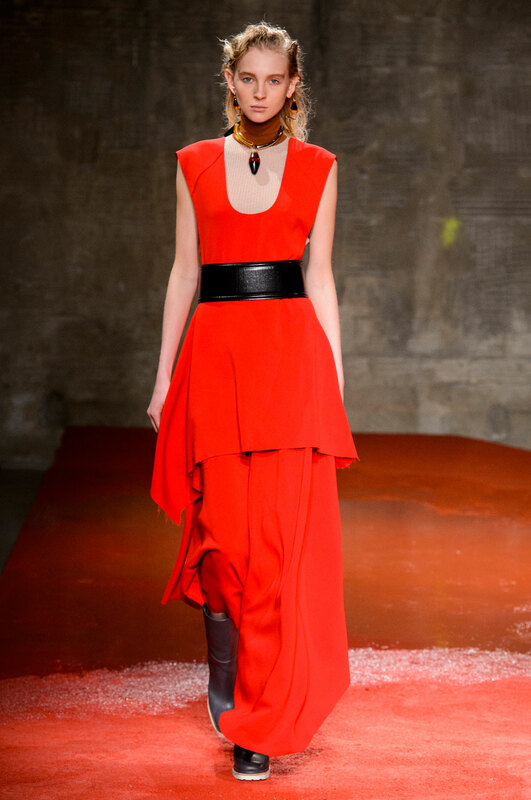 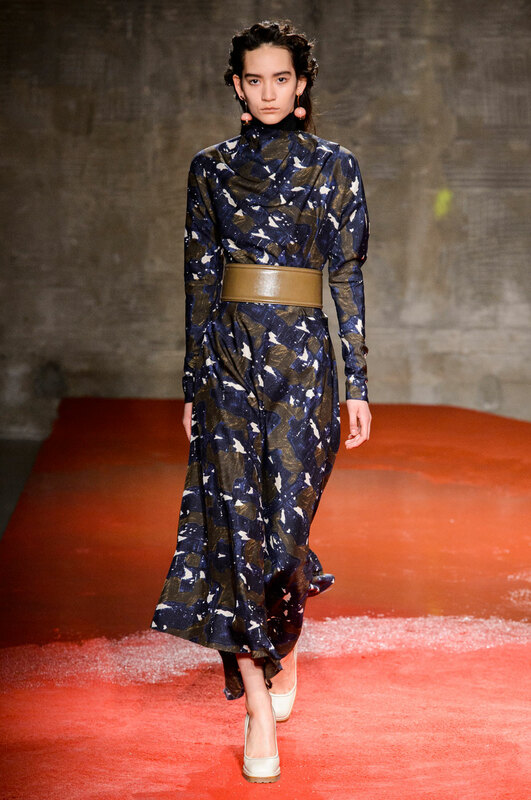 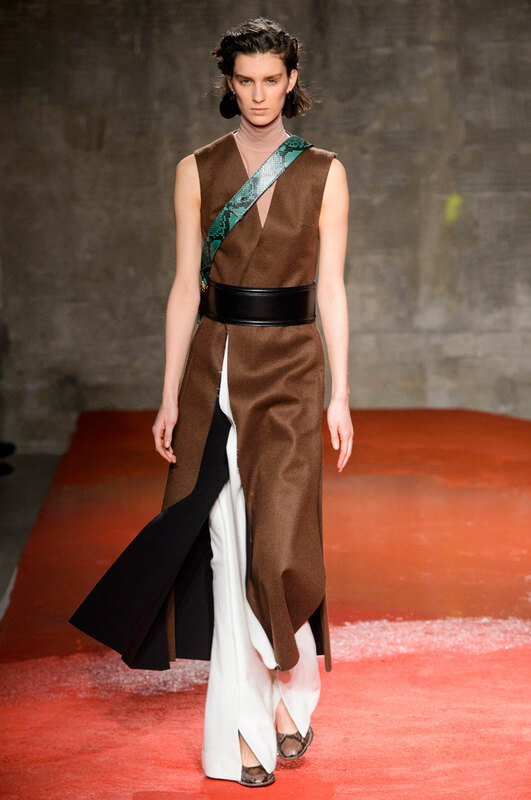 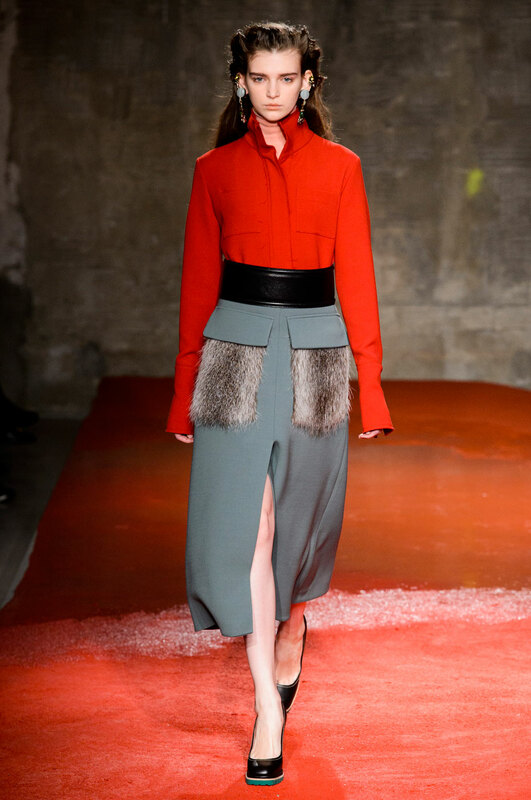 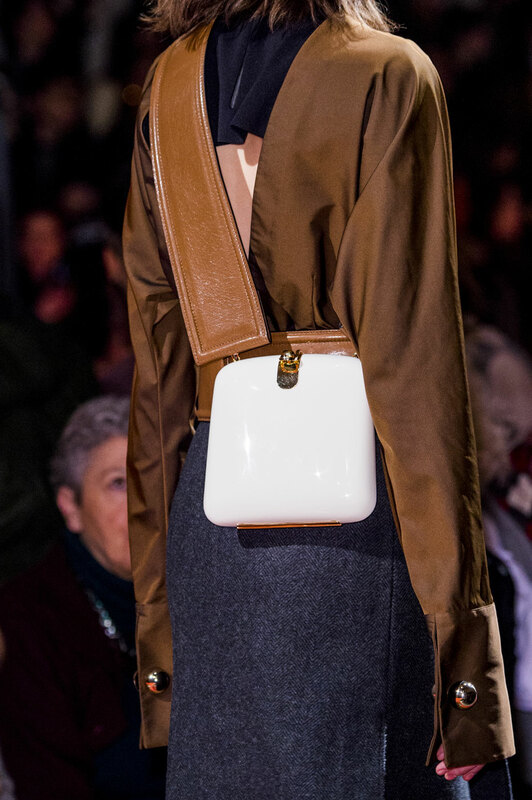 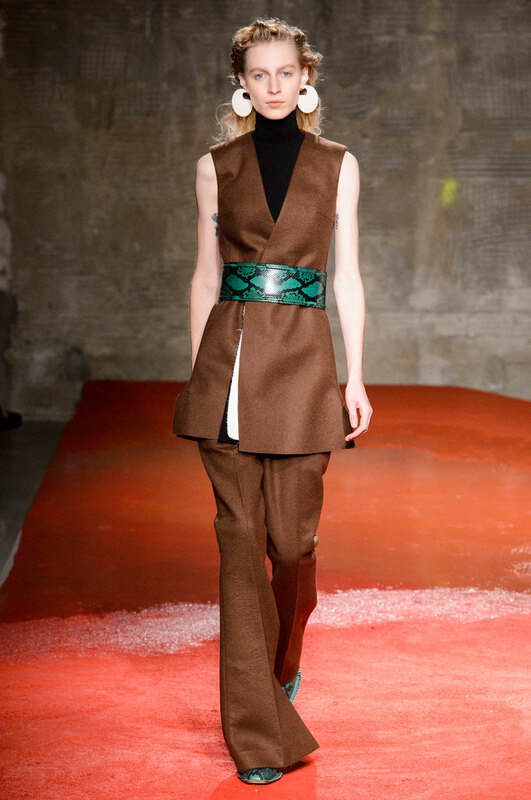 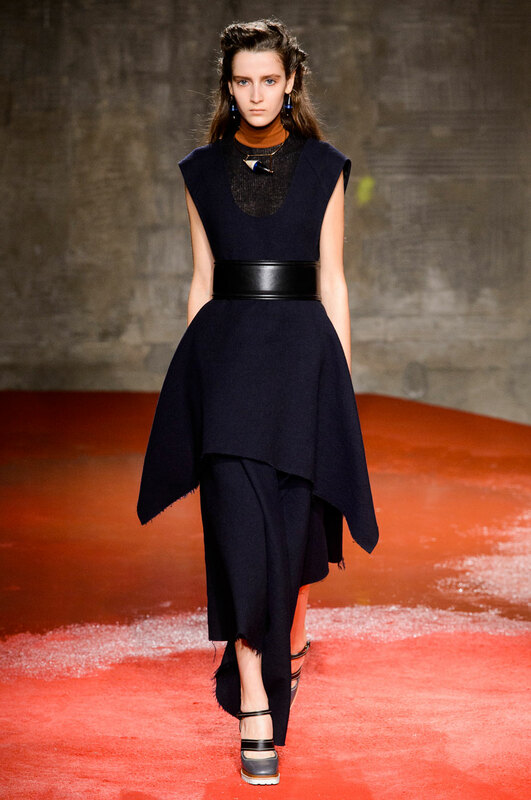 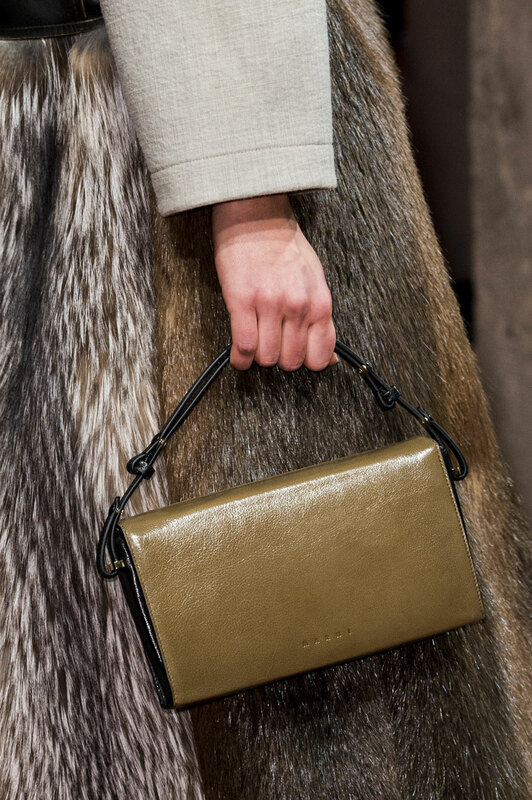 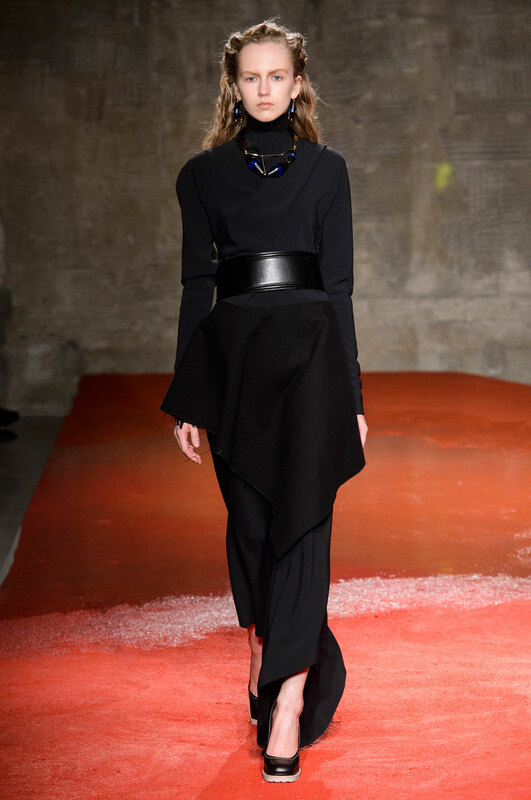 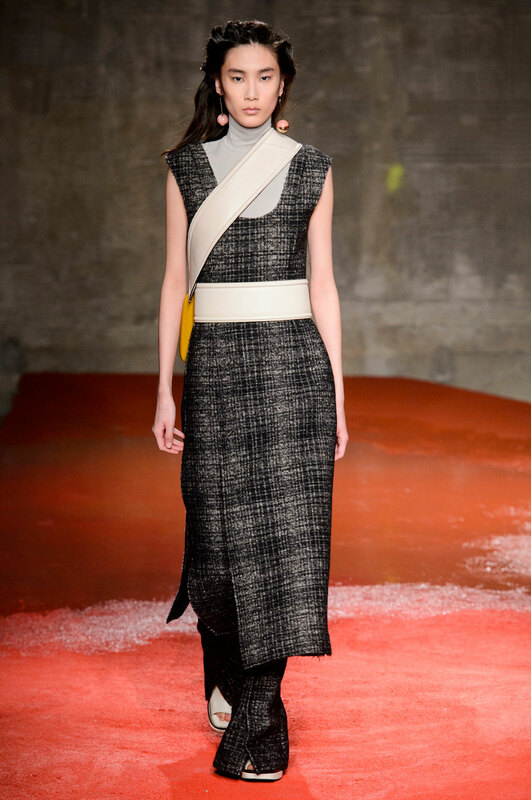 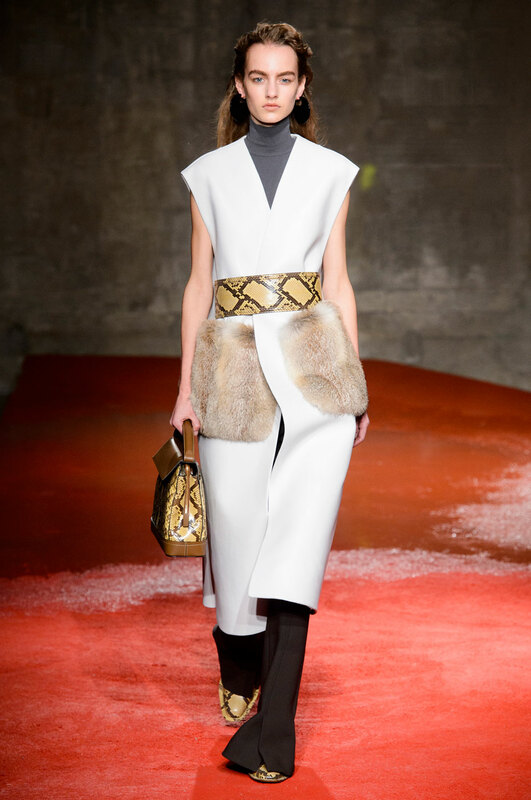 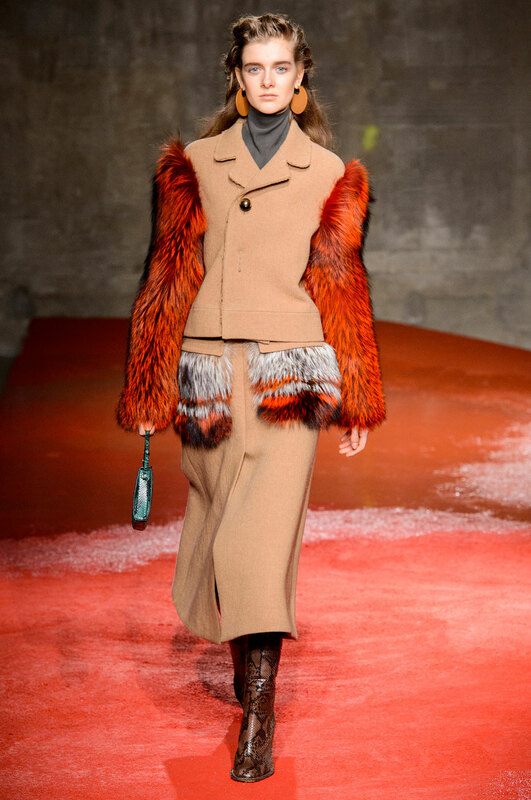 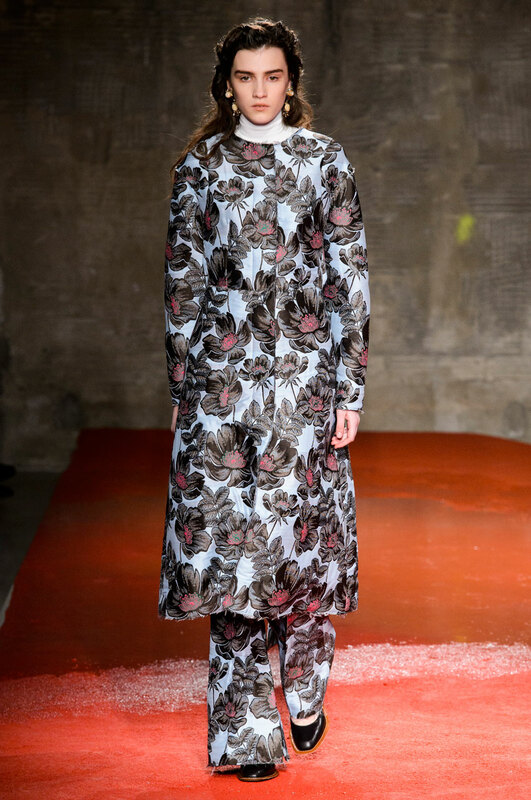 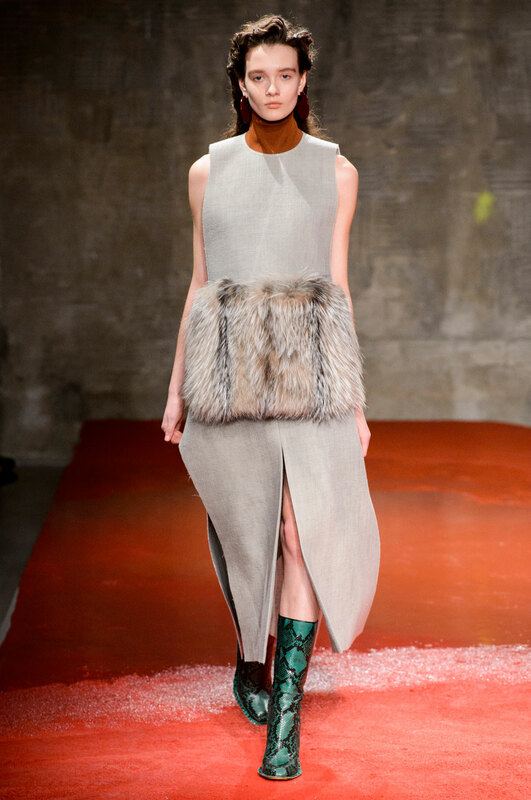 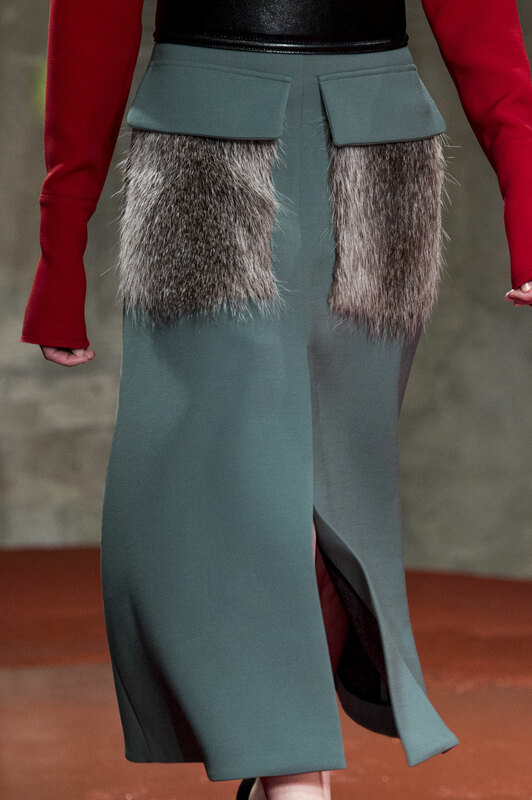 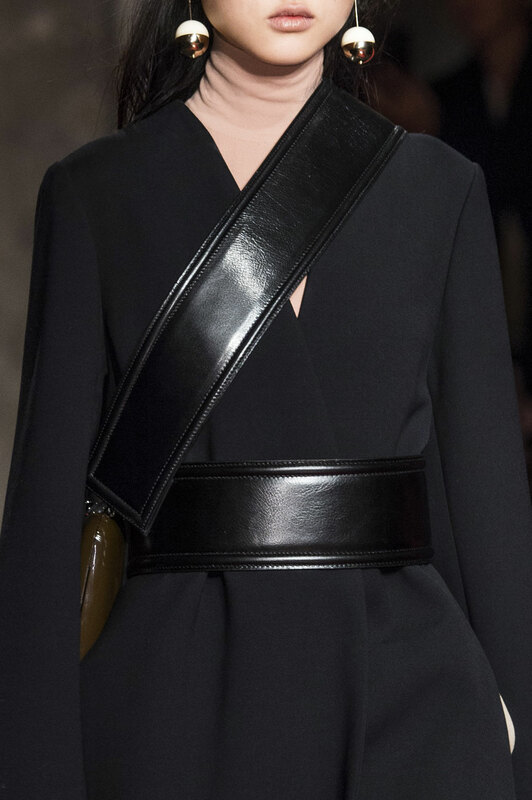 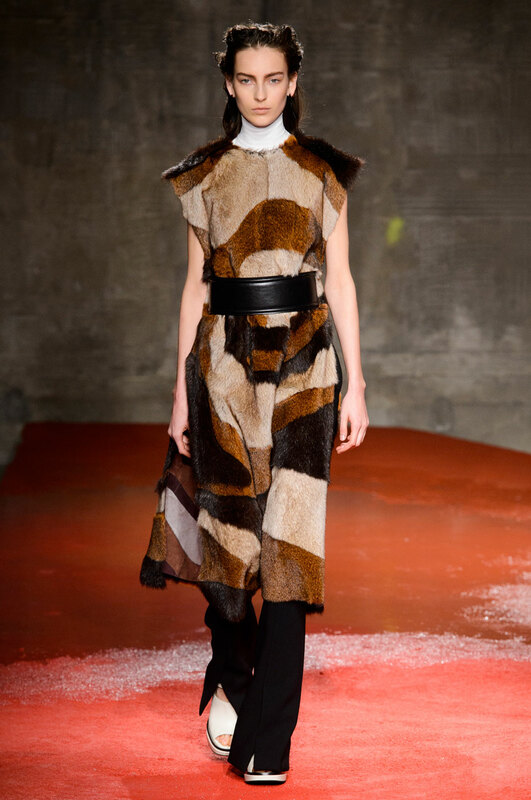 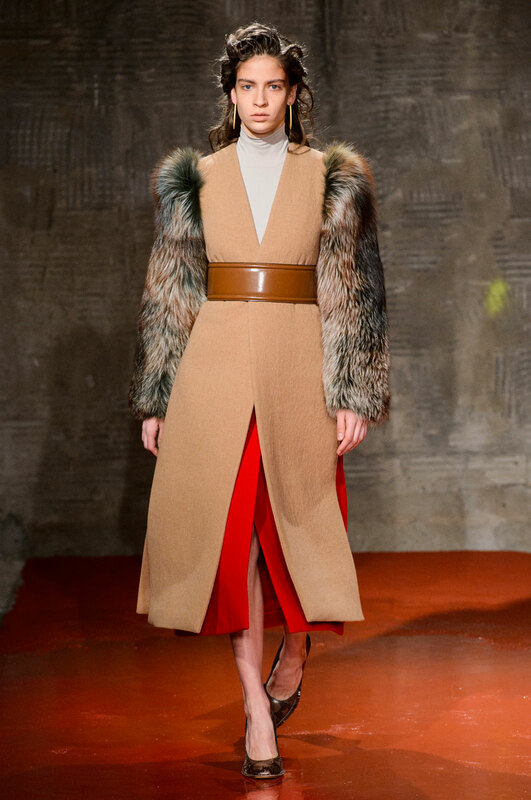 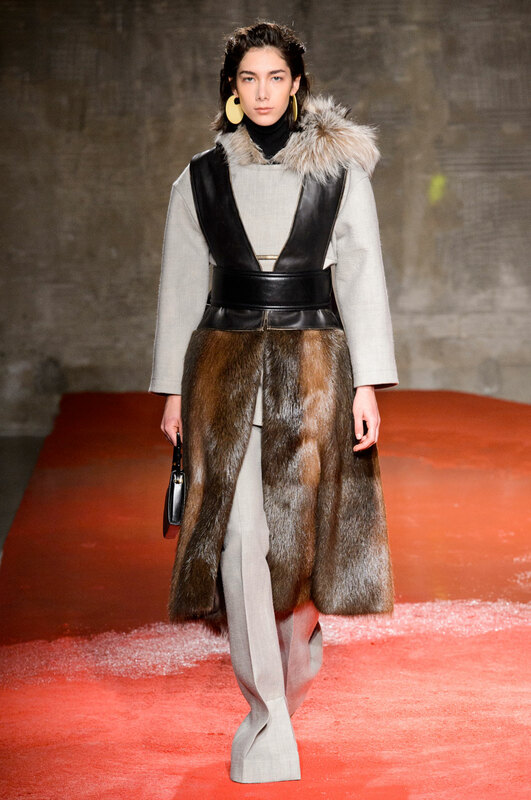 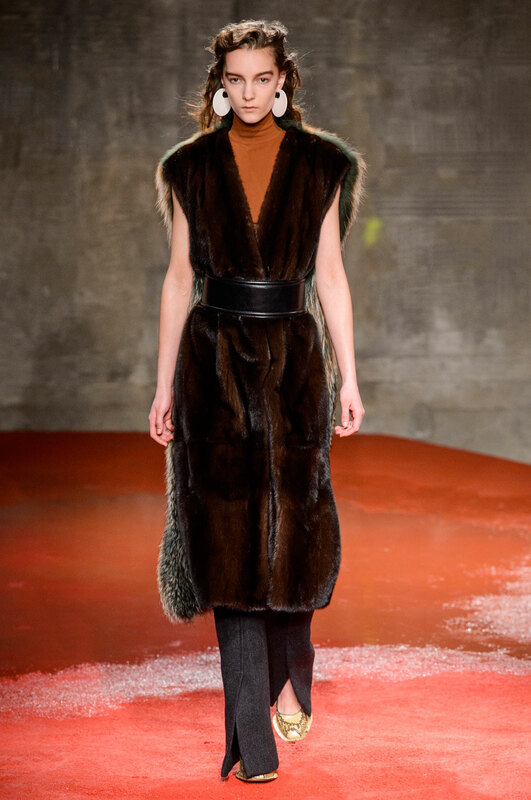 Its not the first time we’ve seen fur panelling this season, but Marni in particular have extended this soon-to-be trend. 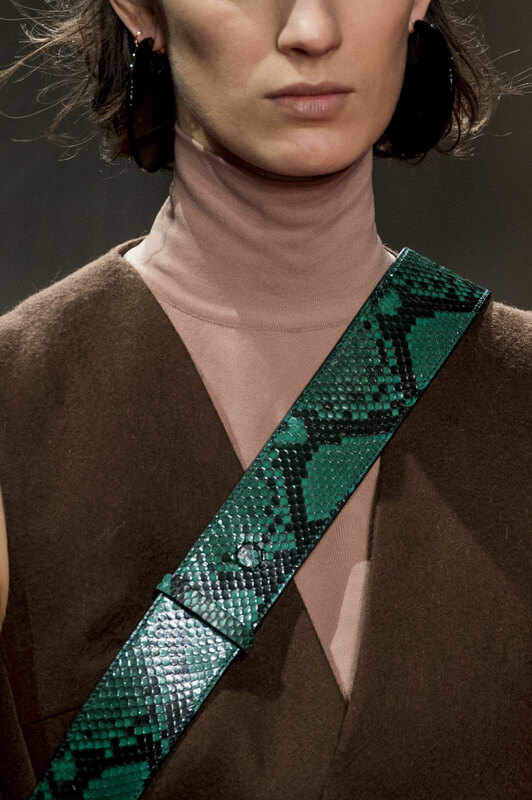 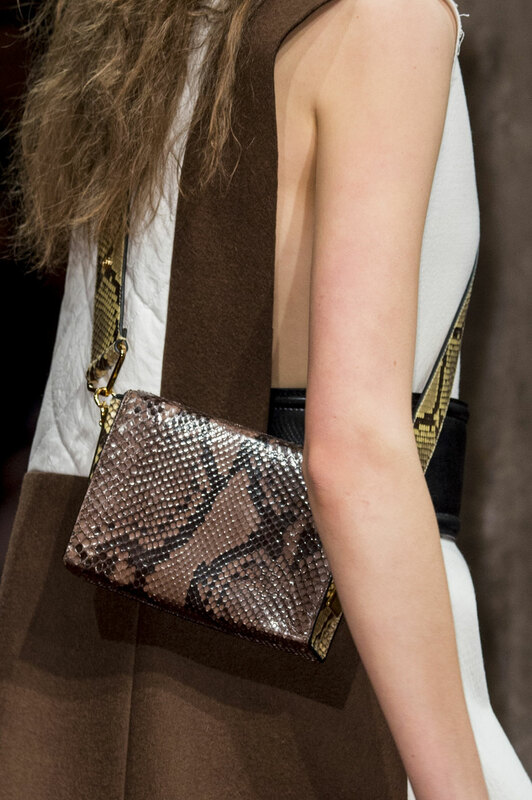 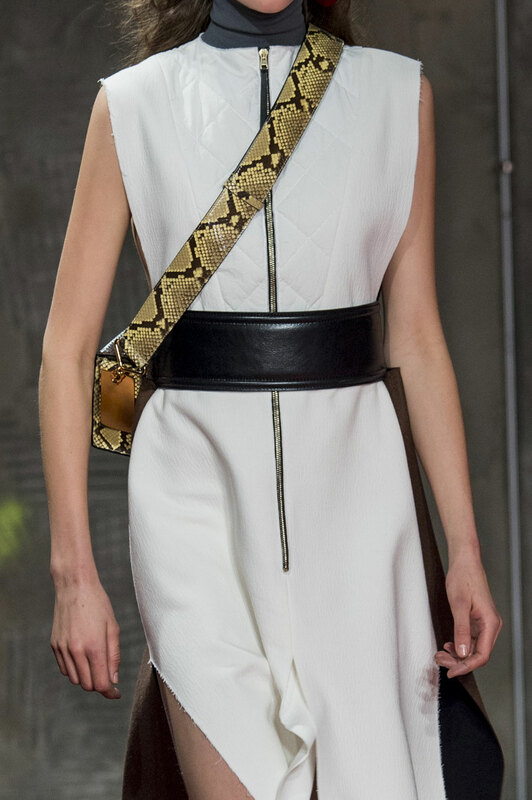 This detail is complimented best against the leather waistband, in strong brown and blacks but also patterned in snakeskin – Both this and the fur drawing focus to rich textures in the minimalistic looks. 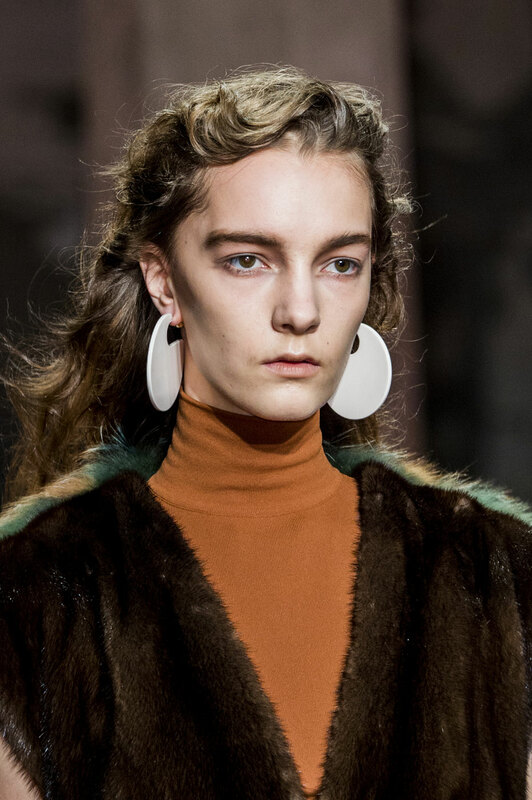 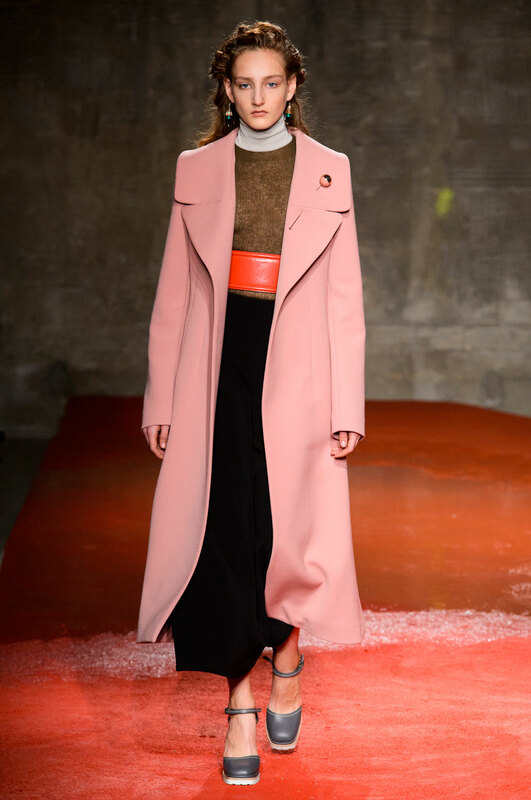 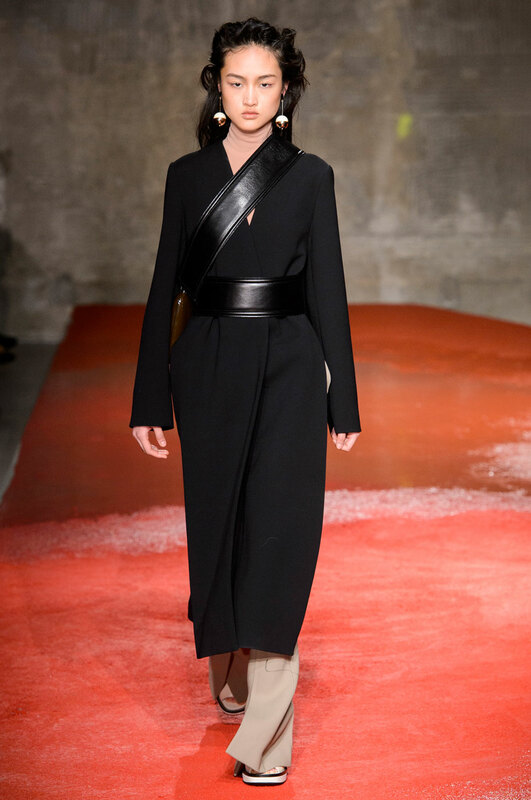 The collection as a whole consists of exquisitely structured layering, each model with a visible polo neck, the colours complimenting blouses, waistcoats and jackets. 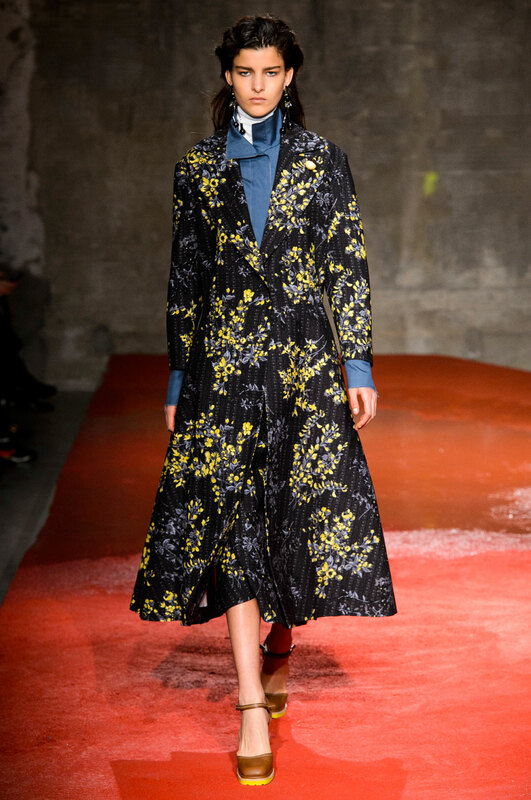 The sharp yet elegant jackets are perfectly styled over wide cut trousers adding femininity to a more simple, tailored look. 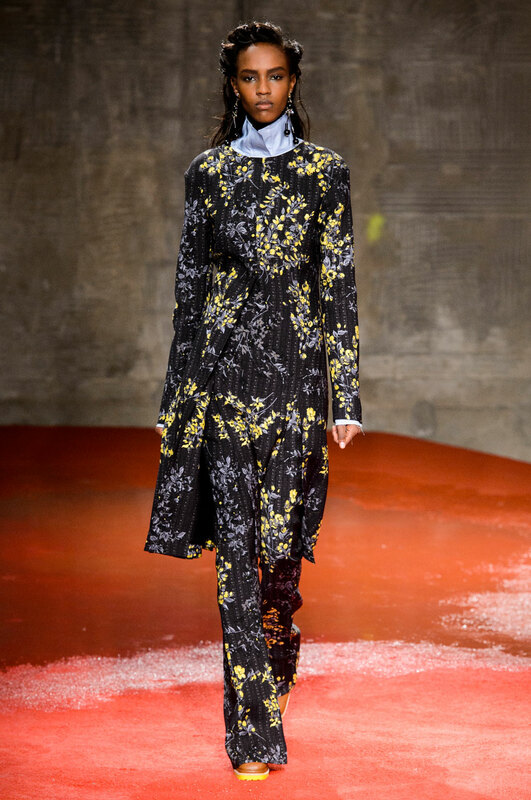 The much louder looks, consisting of beautifully cut away flowers, eccentric prints and 3d botanics, illustrating the intricacy of detailing. 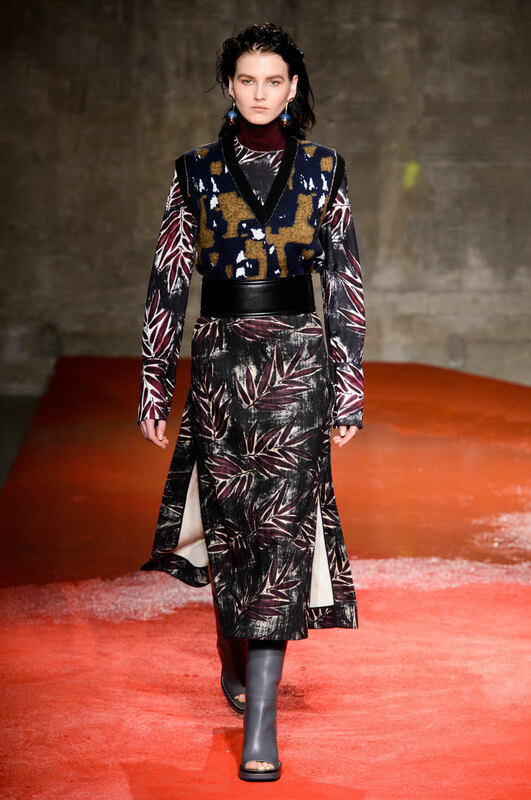 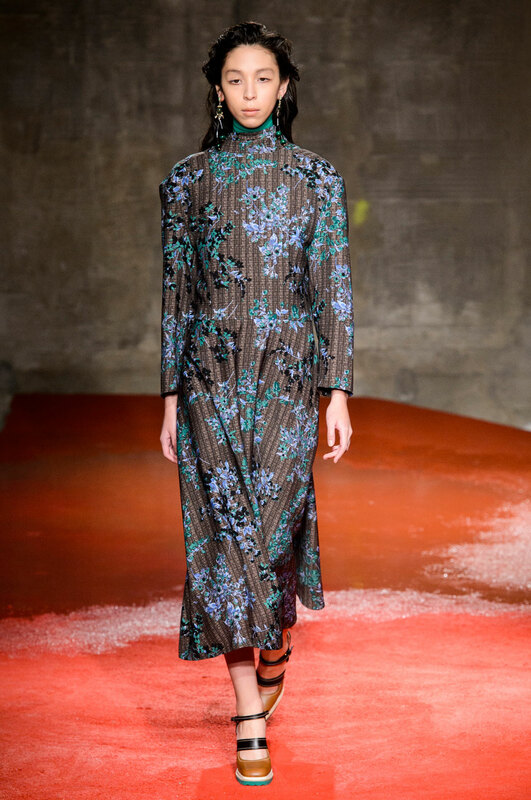 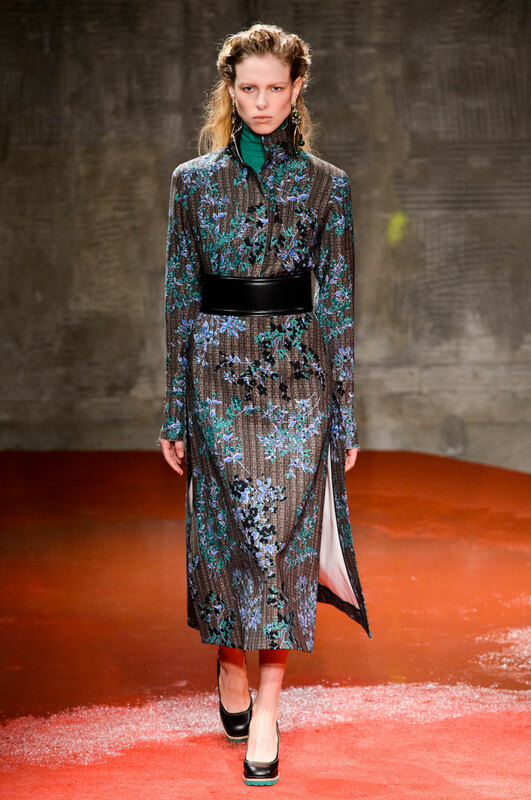 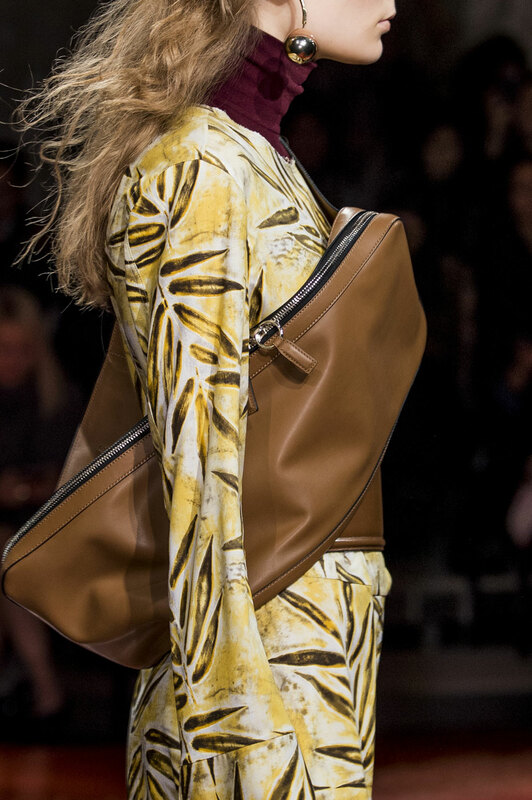 These patterns have quite an abstract feel suggesting Marni have taken a modern approach this season; bringing us a unique update on basic shapes and cuts whilst highlighting the importance of details and texture.